James Henry Newis was born in West Coker in 1860 the son of agricultural labourer Charles Newis (1822-1863) and Deborah née Willey (b1822), both originally from Shepton Beauchamp. In the 1861 census seven-month old James was living with his parents and four older siblings at 118 East Street, West Coker. In 1862 Charles and Deborah had another son, Frederick, but Charles Newis died at the age of 41 in the spring of 1863 and in the following census Deborah was living at West Coker with her six children. Deborah gave her occupation as a glover and 11-year old James was working as a baker alongside his older brother Charles. By 1881 James was working for miller and farmer John Buckland and was living with bachelor Buckland and his siblings at Hornsbury Mill, Chard. James listed his occupation in the census as a Journeyman Miller. Later that year James married Mary Ann Lucas at Yeovil. Mary was the daughter of mason Albert Lucas (1824-1902) and Martha née Mullins (1824-1885). James and Mary were to have three children; Caleb Edney (1882-1916, killed at the Somme), Lily Ethel (1884-1954) and Albert Charles (1887-1924). At the time of the 1891 census James had moved his family to Trent Corn Mills, just outside Yeovil, where he was listed with Mary and their three children. James gave his occupation as 'Miller (Master)'. In the meantime.... at some time in the middle of the nineteenth century a glove factory and tannery was built on a parcel of land at Preston Road, Yeovil, complete with tanning pits, and consisting of two nearly parallel ranges of buildings on a north-south axis. The complex was probably built by, but certainly operated by John Barber, a fellmonger, glove and gaiter manufacturer. Barber probably operated the tannery in the 1850s but certainly by 1861 when he was living with his large family in the adjacent Providence Cottage. John Barber died on 15 September 1894, aged 80, and after the failed sale of the factory property in 1895 but certainly by 1897 James, by now described as a corn merchant, was living at Providence Cottage with Mary and the children. He converted the adjoining former tannery into a flour mill, widely known as Newis' Mills. There was no water supply for driving a wheel on the site and any milling would have been powered by steam or oil engines. In the 1911 census James and Mary, together with their son Albert, were living at 'Iva', Preston Road (Providence Cottage renamed?). James gave his occupation as 'Corn Merchant & Miller' and Albert gave his as 'Assisting in father's business'. In 1914 James' business was known as JH Newis and Sons however he died on 29 May 1914 aged 54. His will was proved in July and his estate was valued at £4,238 16s 5d (about £2.2 million at today's value). 'Newis Mills (Corn)' is marked on the 1928 Ordnance Survey map located within the existing buildings and the firm appears to have continued beyond 1945 and was still named on maps in 1965 albeit with different proprietors. 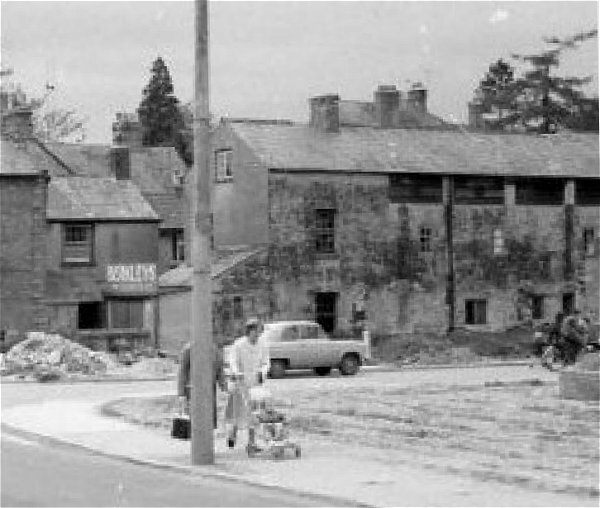 Both Providence Cottage and Newis' Mills were demolished in the 1960s and the site of James' mill is now houses and gardens of the west side of the southern end of Willow Road. 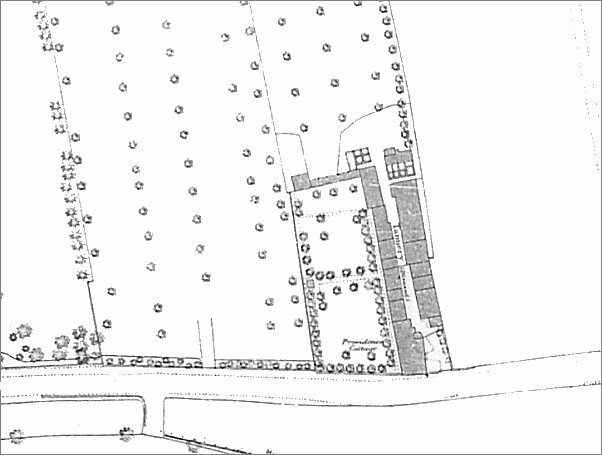 Map based on the 1886 Ordnance Survey showing Providence Cottage with its end wall on Preston Road (running across the bottom of the map) and the former tannery running north at right angles to the road. On this map the mills were marked as 'Tannery (Disused)' indicating that John was long-since retired. Within ten years James Newis would convert the former glove factory and tannery into his own flour mill. This photograph was taken in the 1960s and looks west along Preston Road and the road running off to the right is newly-constructed Willow Road. The three-bay house end-on to Preston Road with a corner shop in its left-hand side is Providence Cottage. James Newis lived in Providence Cottage with his family from about 1895 until his death in 1914. The building at right was James' flour mill known as Newis' Mills. Both cottage and mills were demolished shortly after this photograph was taken. An enlargement of the previous photograph showing Newis' Mills. An enlargement of the previous photograph showing Providence Cottage where James and Mary lived with their family. By the time of this 1960's photograph part of the cottage hade been converted to a shop - Wyatt's the butcher's.